April Will Do What It Wants – Neales…on wheels! 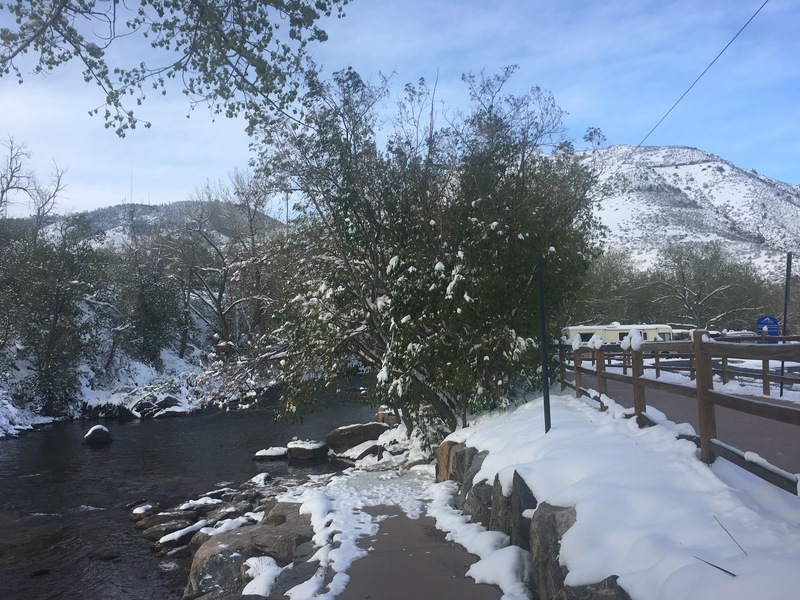 Spring snow, no big deal in Colorado. We’ve experienced our first real snow in the RV. 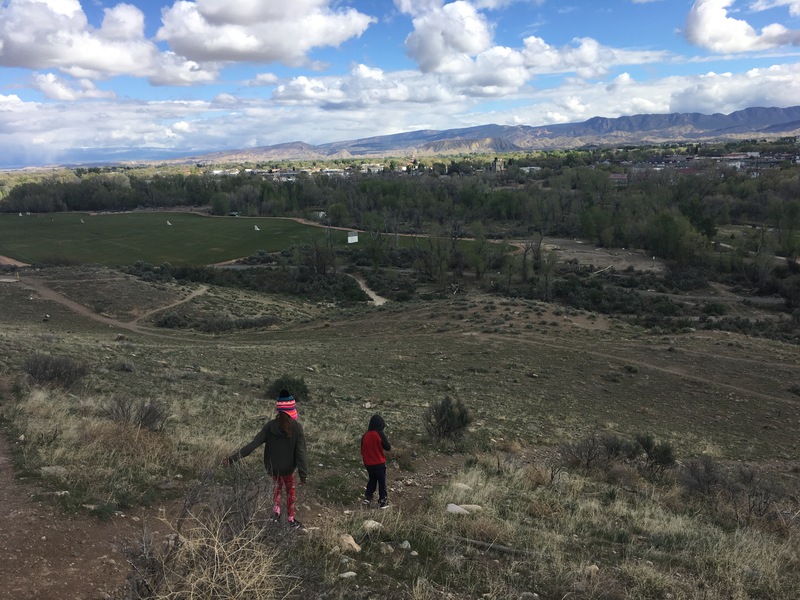 It was surprising given that it’s the end of April, but not so surprising to people who live in northeastern Colorado. Back in Cortez, we were debating between driving down into New Mexico, or continuing north through Colorado. As much as I wanted to see Santa Fe again and get to explore more of the state, I’ve never been to Colorado before. For the most part we’ve been planning each step as we travel and it’s working well. We’re resolved to the fact that we can’t see everything, but no matter which way we head we’ll find something new and interesting. So, we make a decision and go. Colorado rewarded us with views like this. We research online, zoom in and out a lot on Google Maps, and plan routes with certain places like National Parks in mind. 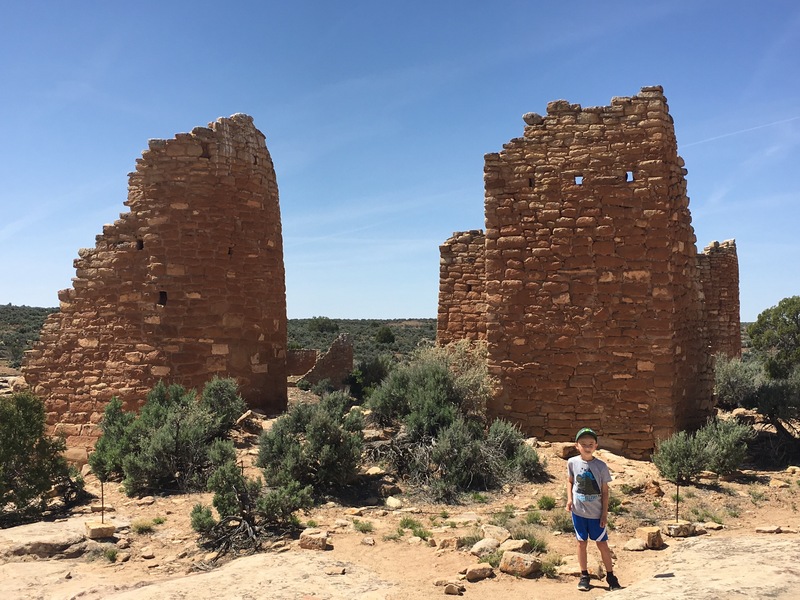 We knew we wanted to see Mesa Verde so we went to Cortez after Utah, and found many more cool things to do during our weeklong stay there. 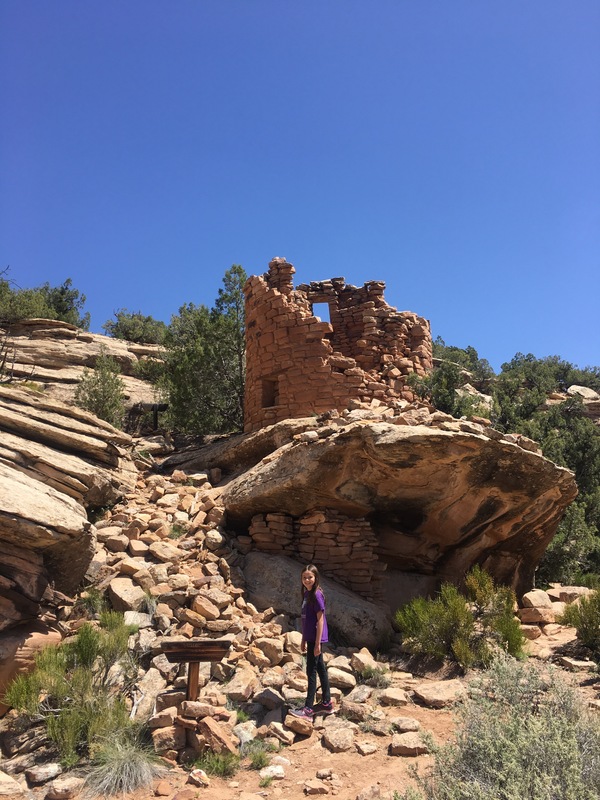 The wonderful Anasazi Heritage Center near Cortez. 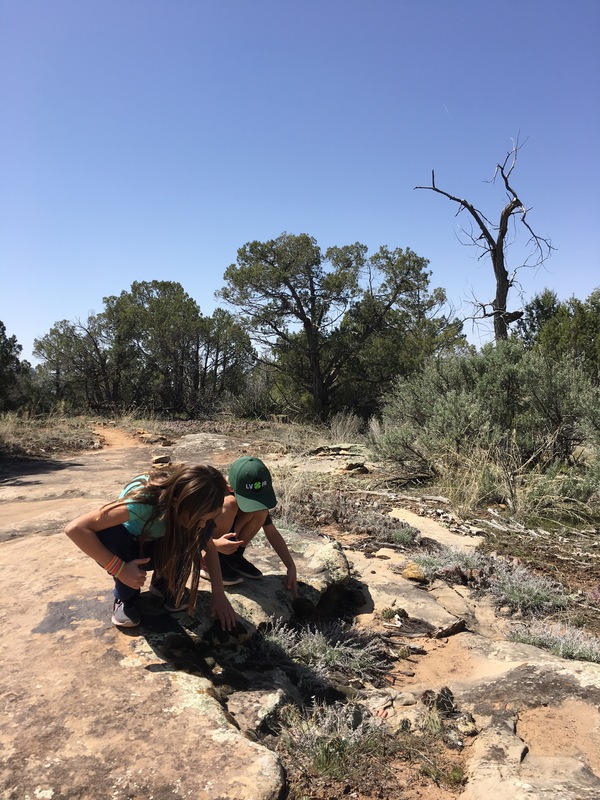 Examining the plants and rocks at Hawkins Preserve in Cortez. We found our next stop, the town of Ouray, from a travel brochure picked up at the Colorado Welcome Center in Cortez. Here’s a tip: don’t underestimate local visitor and welcome centers. As much information as there is online, I always get new ideas from regional maps and brochures that are available for free, and from welcome center staff who are happy to answer questions and give recommendations. Whenever we get to a new town, that’s one of the first stops I make. 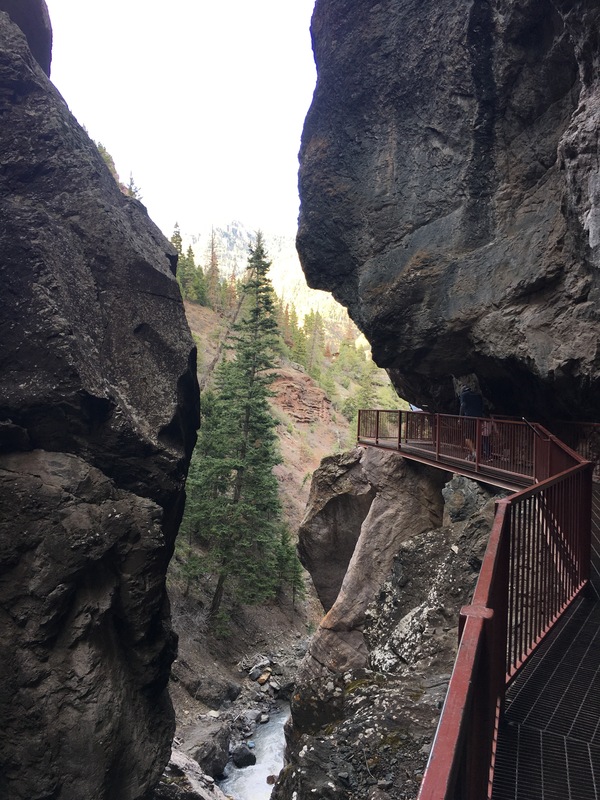 Ouray was the right distance, direction, and elevation (i.e. not still buried in snow) for our next stop. 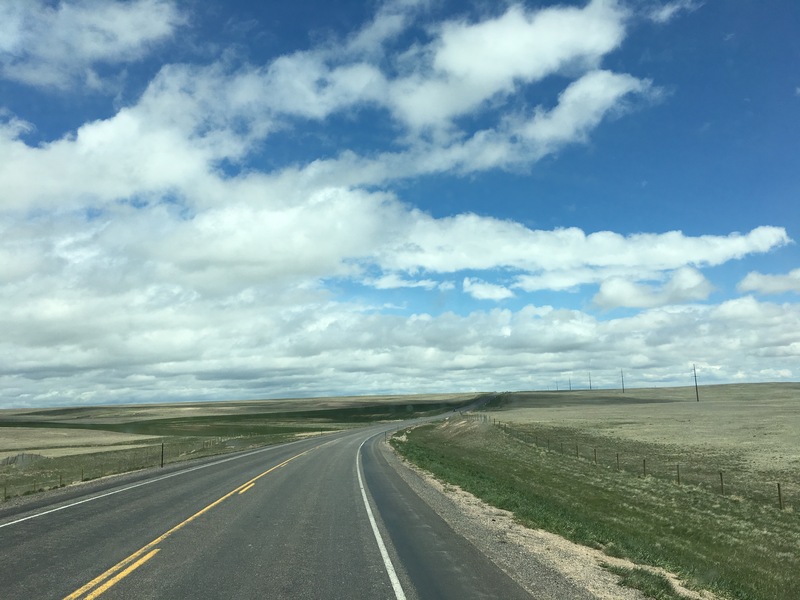 It’s also called the Switzerland of America and is part of the San Juan Skyway, an “All-American Road”: the designation given to the most scenic of all National Scenic Byways. Pit stop on the San Juan Skyway. Both the drive and the town lived up to the hype. 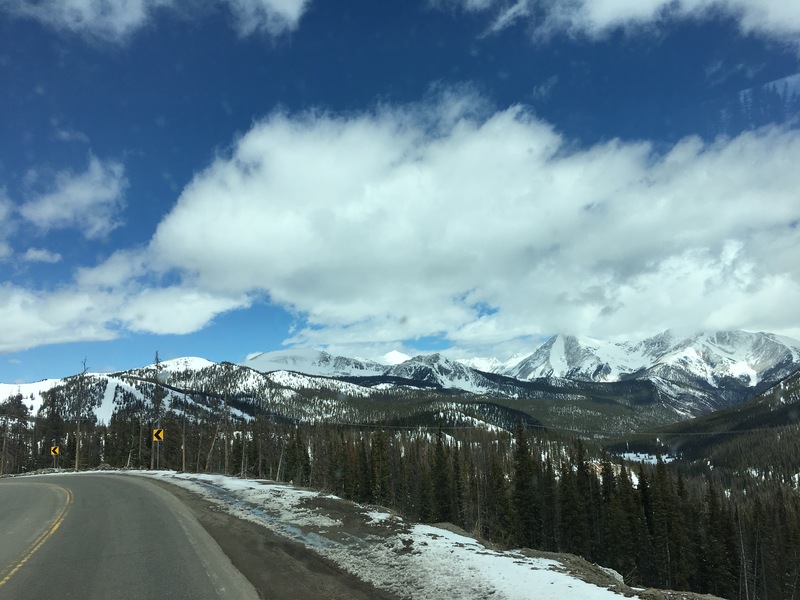 We climbed up into the San Juan Mountains, surrounded by dramatic peaks covered in snow. 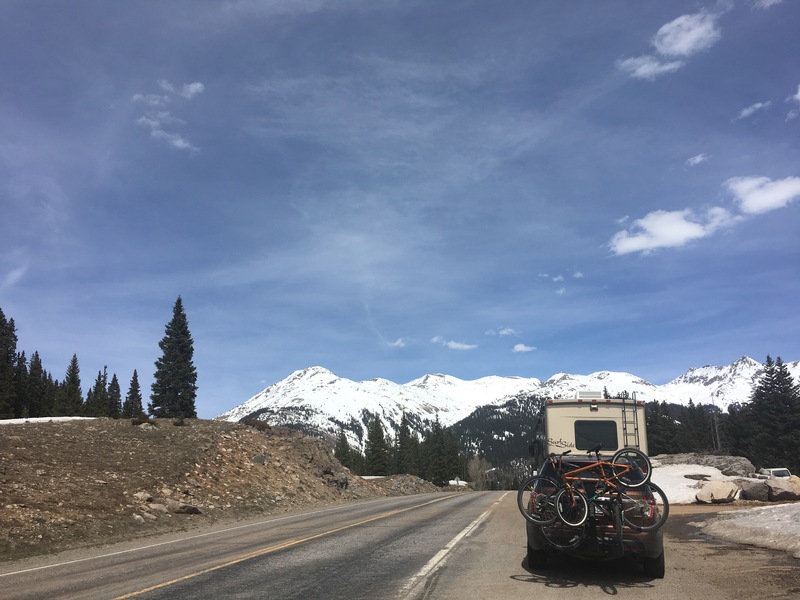 The “Million Dollar Highway” from Silverton to Ouray was spectacular, hugging a sheer cliff face and offering views down into the valley. Chris did another incredible job driving the rig on this road. Because of the steep grades we decided not to tow the car. If I hadn’t been driving the Explorer I would have taken a whole lot of pictures. The Million Dollar Highway leading into Ouray. 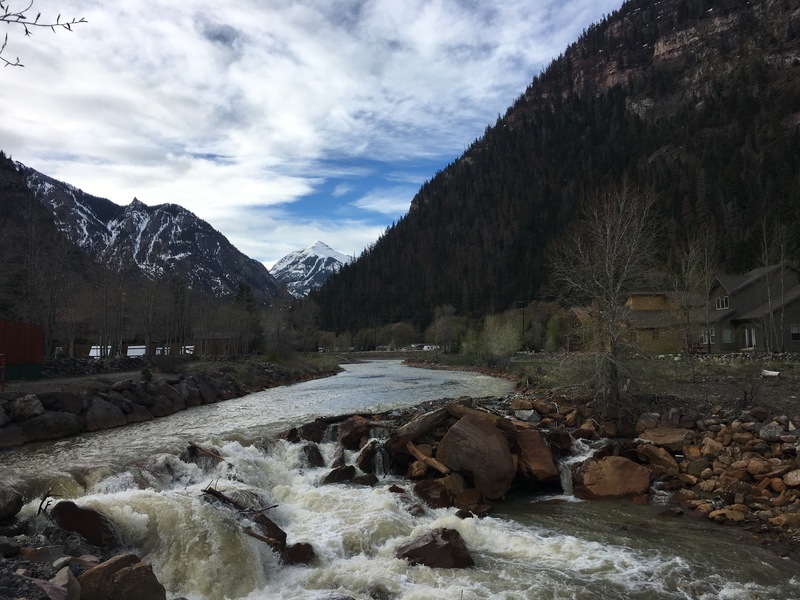 Our RV park was just past the small town of Ouray, next to the rushing Uncompahgre River and across from a plunging waterfall in towering golden cliffs. Otis and Sky enjoyed nice long walks on the path along the river; I couldn’t get enough of the scenery. It would have been an ideal campsite to sit outside and relax, if it weren’t for two very loud and persistent little dogs in the trailer next door, who took their roles as guard dogs very seriously while their owners were out. 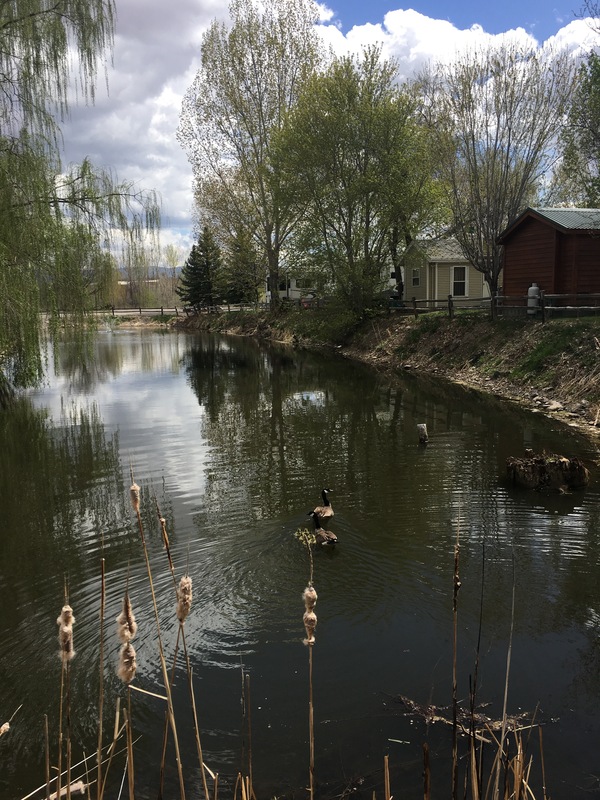 The Uncompahgre River next to our RV park. 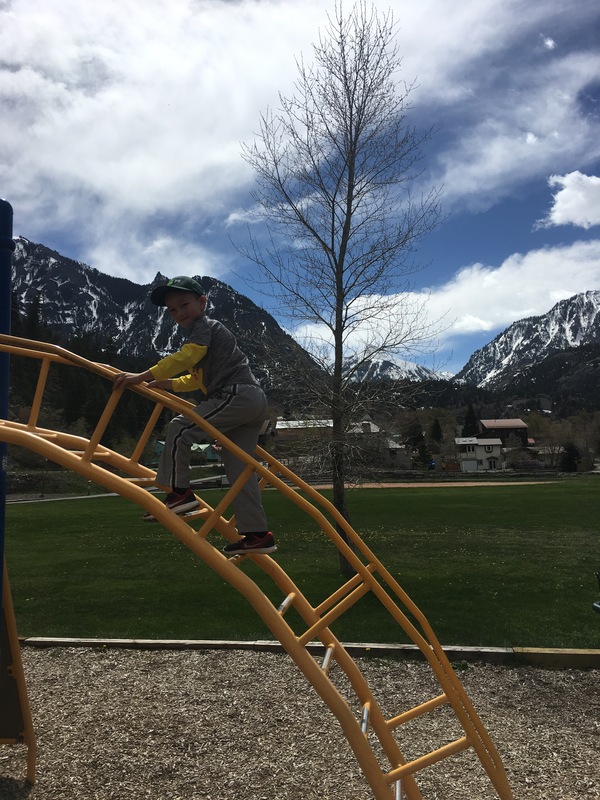 We wandered around the lively historical downtown, enjoying a playground and burgers with ridiculous views. We visited two amazing waterfalls that we had to ourselves. 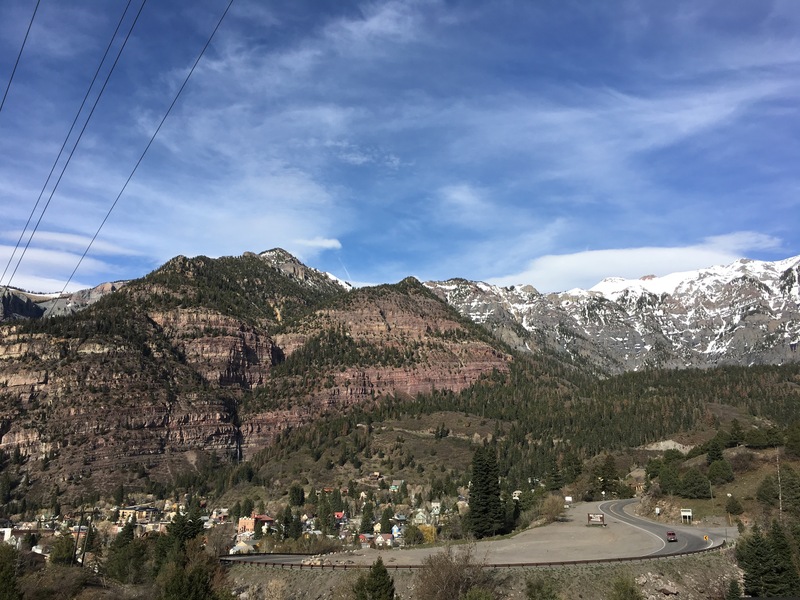 Ouray is one of those places we’ve never heard of before, but it has become one of the most memorable. I would love to return someday, and get to explore the other towns along the San Juan Skyway. 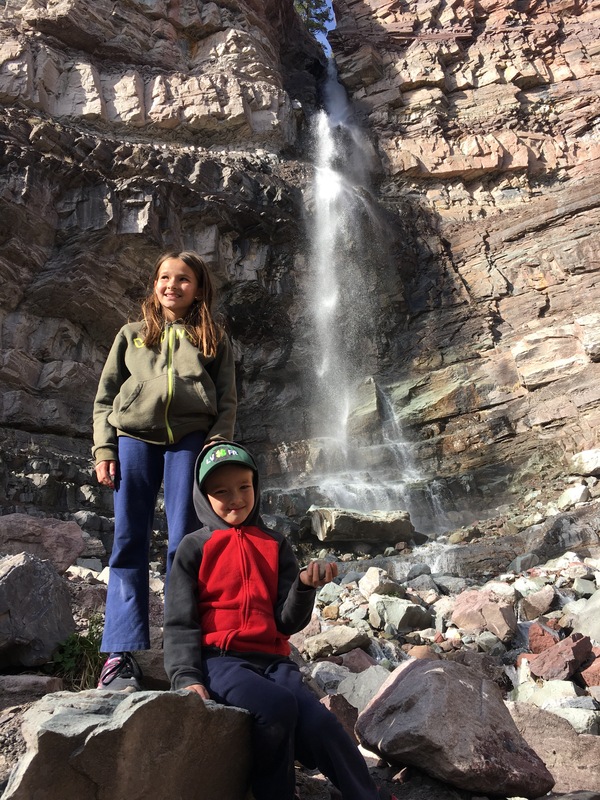 Cascade Falls right next to downtown Ouray. There is a powerful waterfall in this steep and narrow box canyon. The area is transformed into an ice park for climbing in the winter. 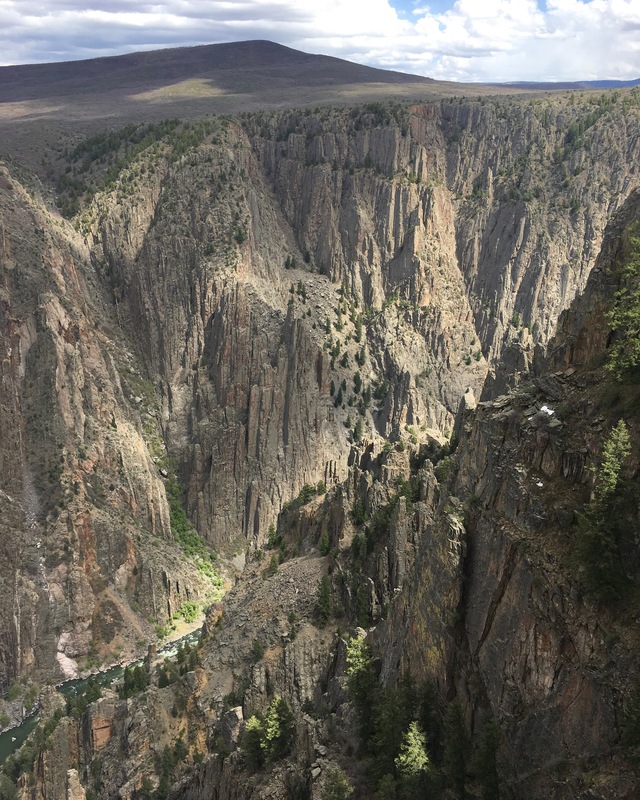 Our next stop was Montrose, mainly to visit the nearby Black Canyon of the Gunnison National Park. I didn’t know much about it, but loved the name. I annoyed the kids by saying it in a very dramatic voice, very frequently (it’s fun, try it!). I’m almost embarrassed to say that we just happened to be there; if we had planned our whole itinerary around Black Canyon it would have been worth it. It is absolutely breathtaking. Incredibly, less than 200,000 visitors a year make it to Black Canyon, which became a National Park in 1999 after being established as a National Monument in 1933. 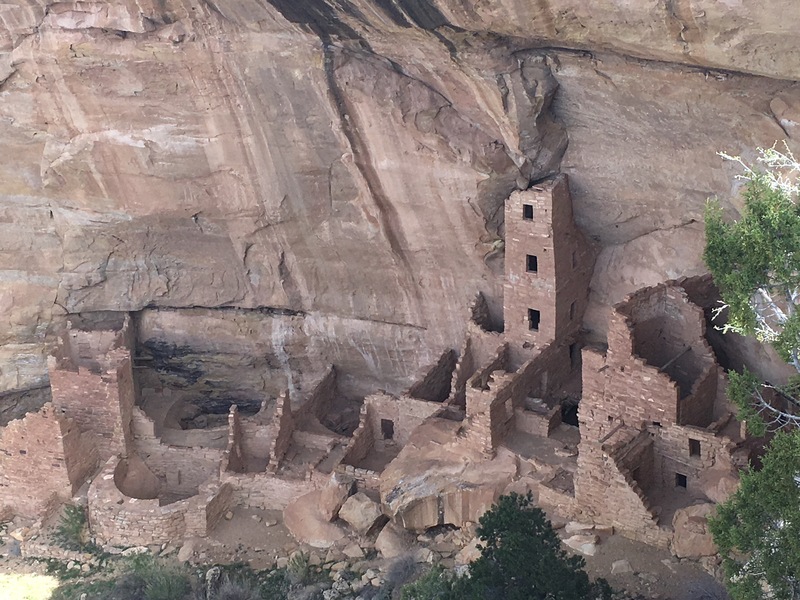 For comparison, Mesa Verde, which is also relatively remote, has over half a million visitors a year. Black Canyon gets its name not from the color of the rock, but from the lack of sunlight in the narrowest parts of the canyon floor. 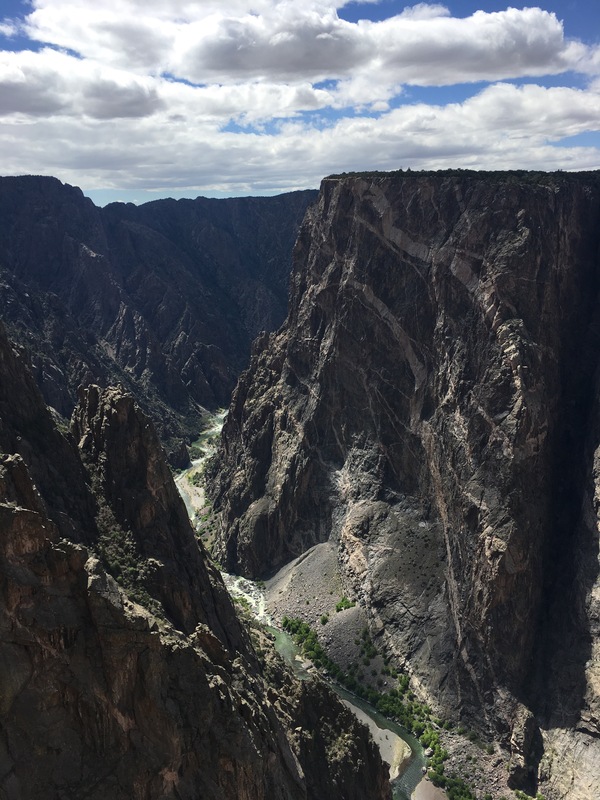 This magnificent canyon was carved by the Gunnison River, a tributary of the Colorado. The RV park in Montrose was beautiful. 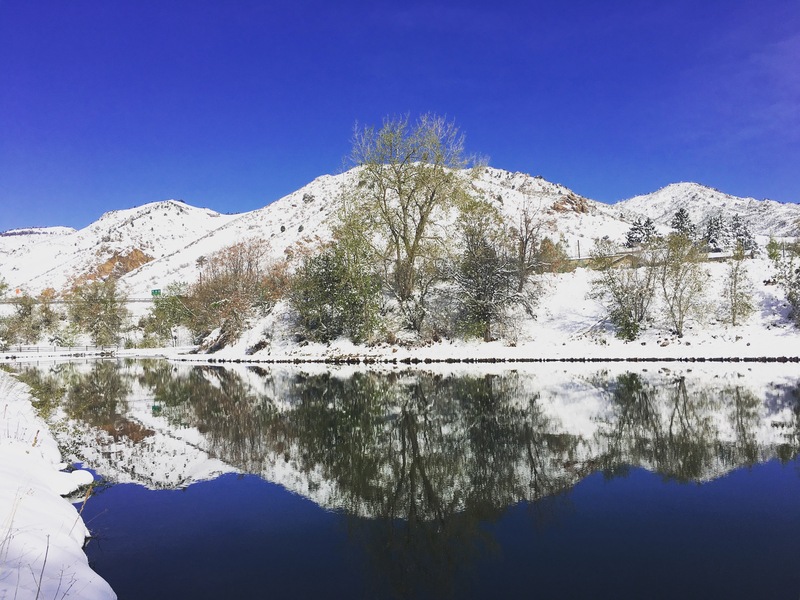 Tall trees, flowers in bloom, bordered by a river and recreational lake – and with a Target shopping center conveniently located on the other side of the river, masked by those pretty trees. Our campsite backed up to a pond, where we got to see newly hatched goslings take their first steps out of the nest and paddle around over the next couple days. We also watched one poor little guy struggle but ultimately not make it past the nest. Springtime and circle of life at the campground. Six of the seven goslings with their parents. Panoramic view from Baldridge Park in Montrose. Chris had a long drive east to our next destination, Colorado Springs. 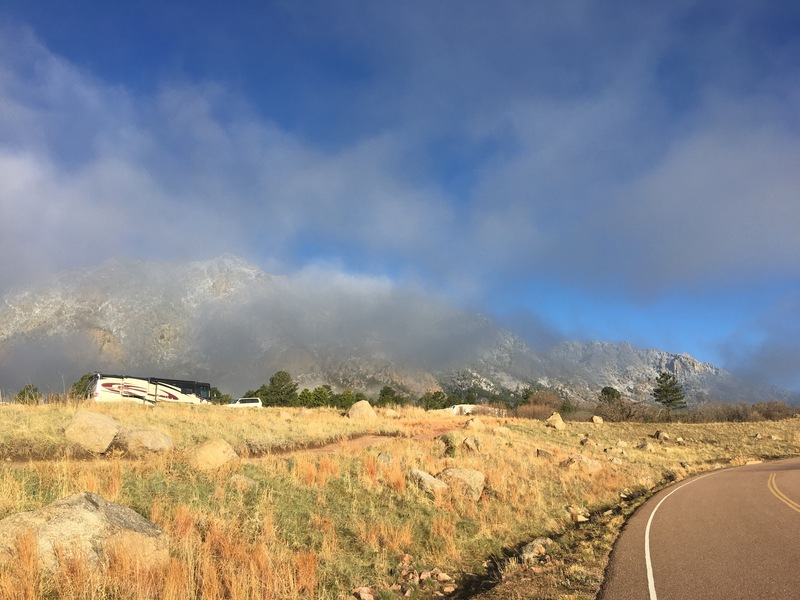 He also found Cheyenne Mountain State Park, where we had the most spectacular RV site yet. 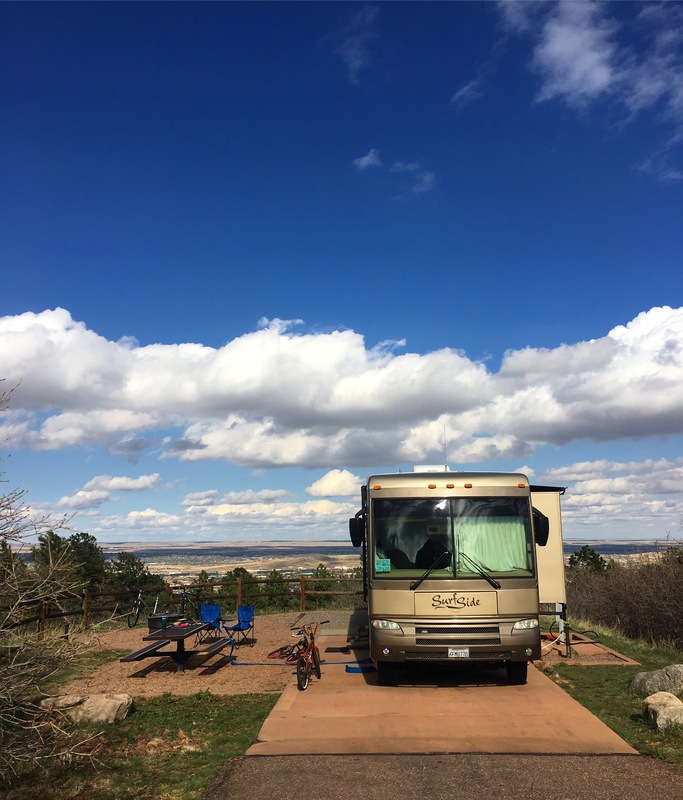 We had to move after two nights, but the next site was equally nice, and the kids and I made friends with an awesome family nearby who we visited in Boulder a few days later. The dogs loved the park too, which had an abundance of deer and rabbits to push their hunting instincts into overdrive. 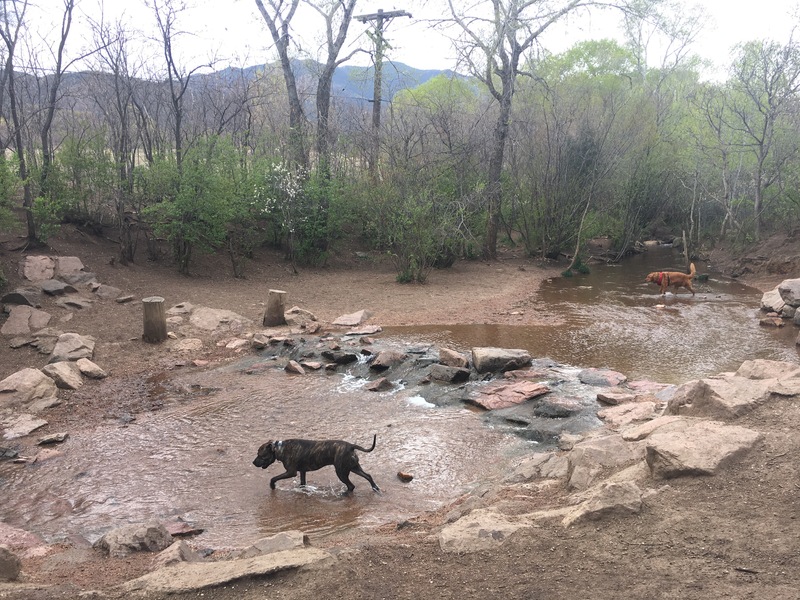 They weren’t allowed off leash or on the trails in the campground, but one of the best dog parks we’ve seen was nearby: 25 acres with fenced in play areas, varied open terrain, and a stream. We also got to go to Costco for the first time since Las Vegas, which wasn’t exactly beautiful, but exciting in its own way. 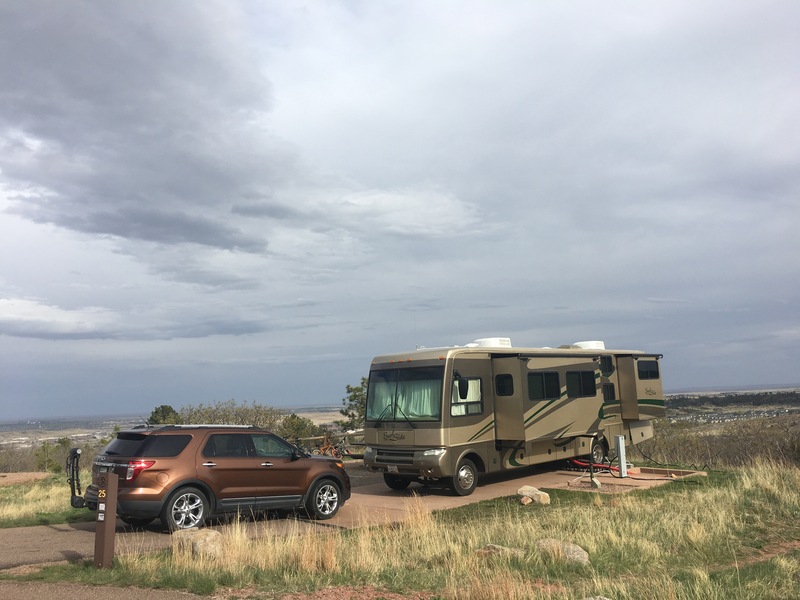 First campsite in Cheyenne Mountain State Park. Second campsite. 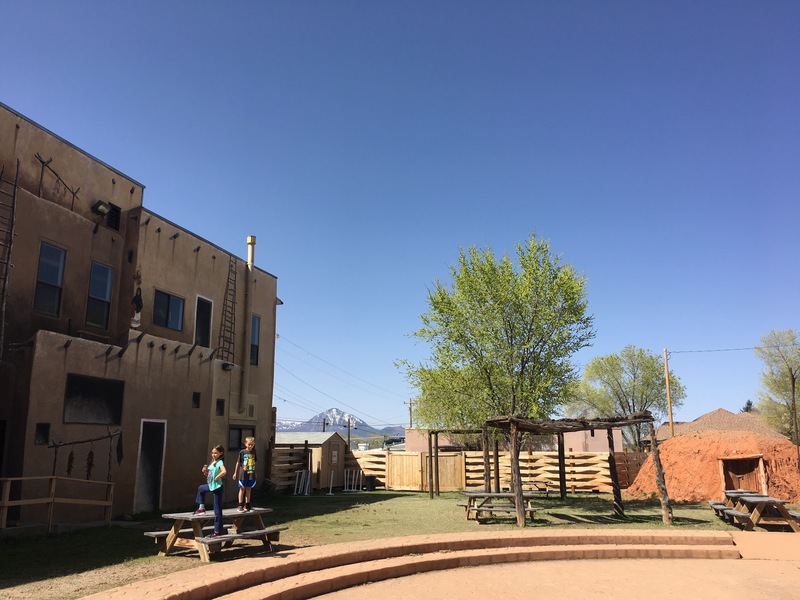 The setting at the foot of the Cheyenne Mountains and overlooking Colorado Springs is tough to beat. Morning fog burning off at the campground. Now that’s a dog park! 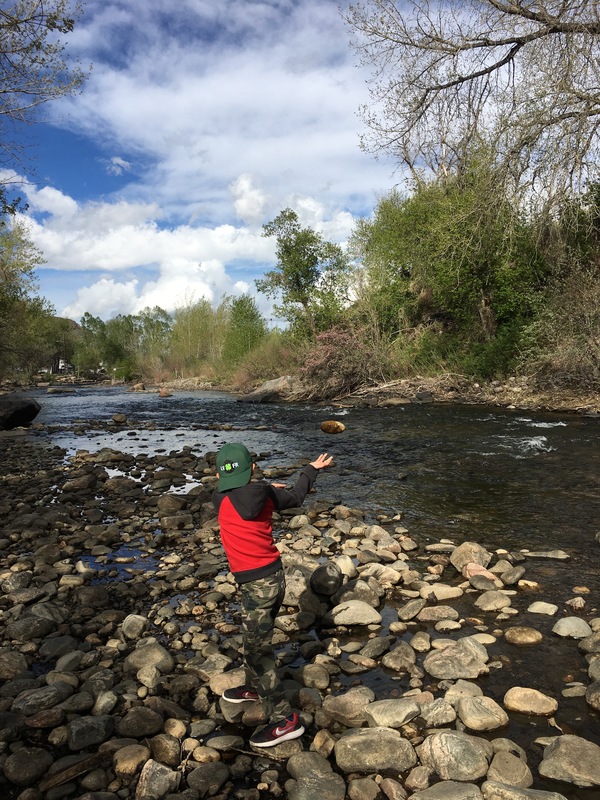 We drove north to Golden, to an RV park right in town next to a big park and playground, and a beautiful creek with walking and bike paths. 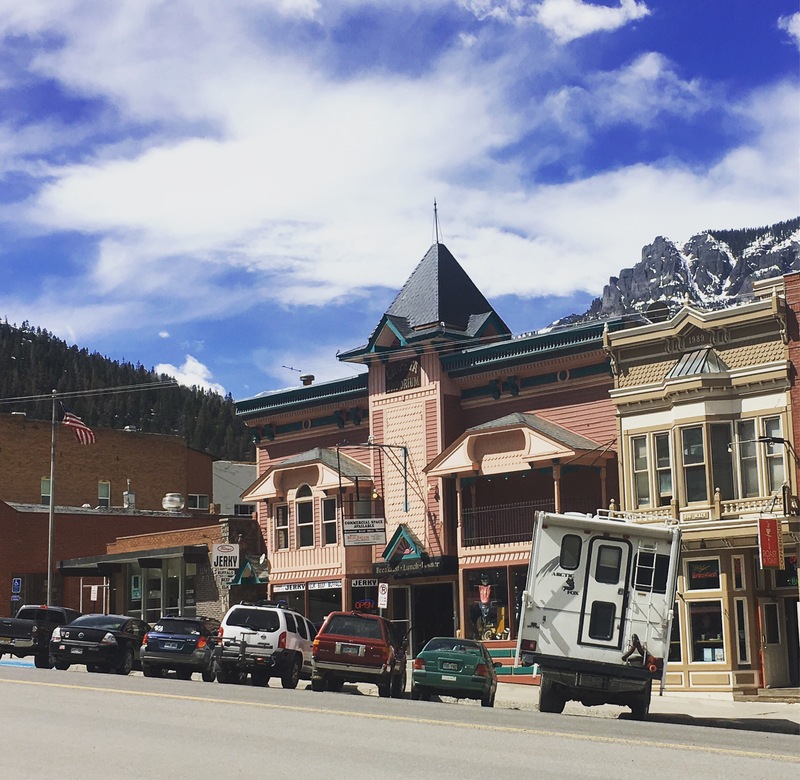 Golden is another charming Colorado town in a stunning setting. 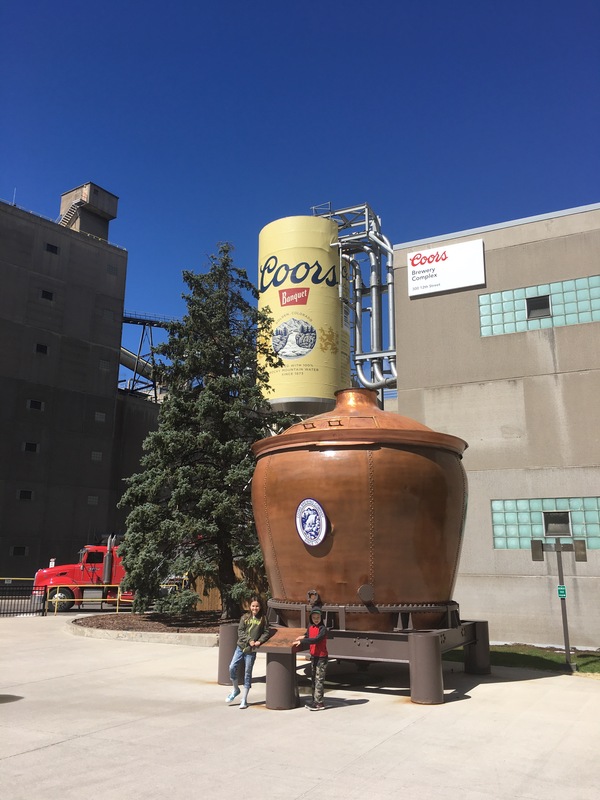 It’s also home to the Coors (now Molson Coors) Brewery – established in 1873 and the largest single site brewery in the world. Of course we took the free tour. The kids learned about one of the oldest beverages produced by humans, which Chris and I enjoyed at the end of the tour. We got to socialize in Golden too; Chris and I both met up with friends who live in the area, and the kids and I loved seeing our new friends from the last campground again at their home nearby. Clear Creek right next to our campsite. And then, the snow. On our third day in town, the clouds rolled in and the snow started falling in the late afternoon. And kept falling, all the next day. By the time I took the dogs out for our morning walk there were several inches accumulated. Of course this being Colorado, the streets were cleared and there were people out on their daily runs, with maybe an extra layer on. 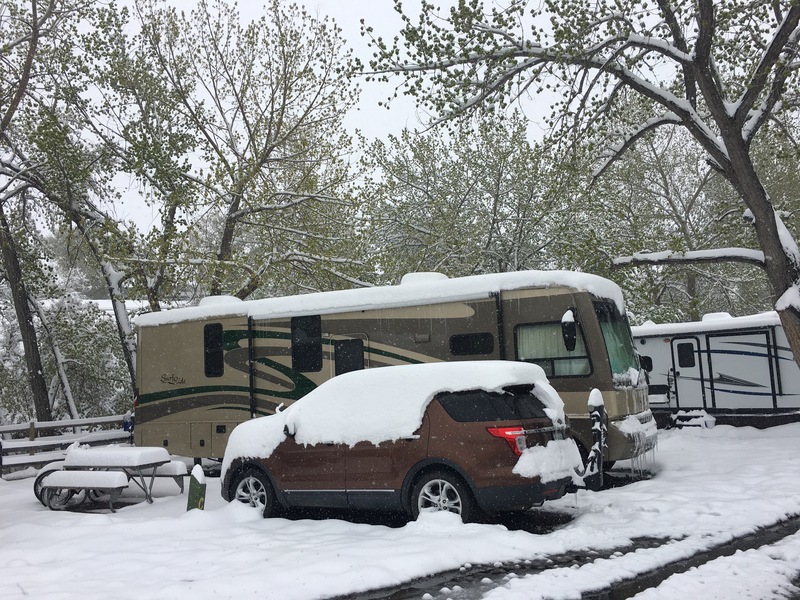 It felt odd to see the RV wearing its own extra layer of snow and icicles, but there really wasn’t much to do: we had electricity and propane, and the RV park’s waterline was completely underground to prevent freezing. The biggest hazard was finding a thick sheet of ice on our metal front door steps the next morning. As everyone assured us would happen, the sun came out and the snow started melting quickly as the temperature reached into the 50’s. About halfway through the snowfall. The next day was gorgeous! 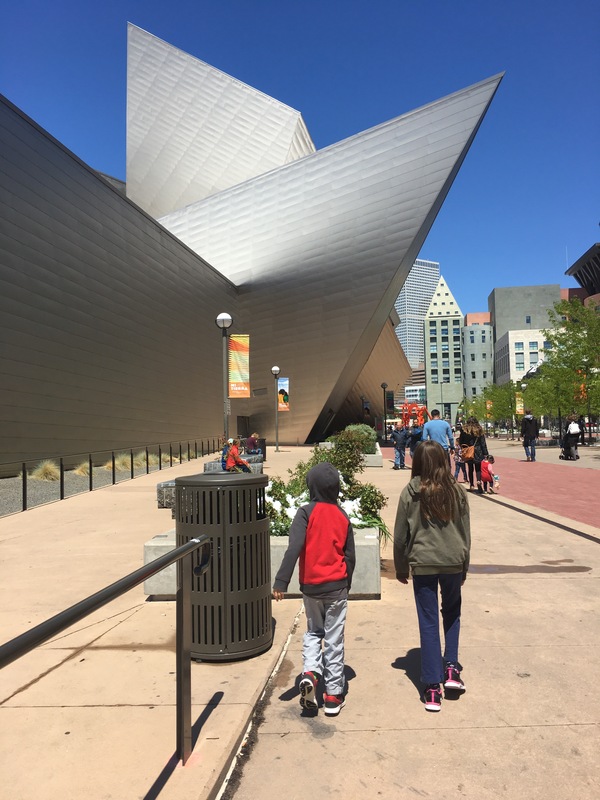 We stayed one extra night to wait out the thaw, and that gave us a chance to venture into Downtown Denver and check out the Denver Art Museum, which is an amazing place for families. 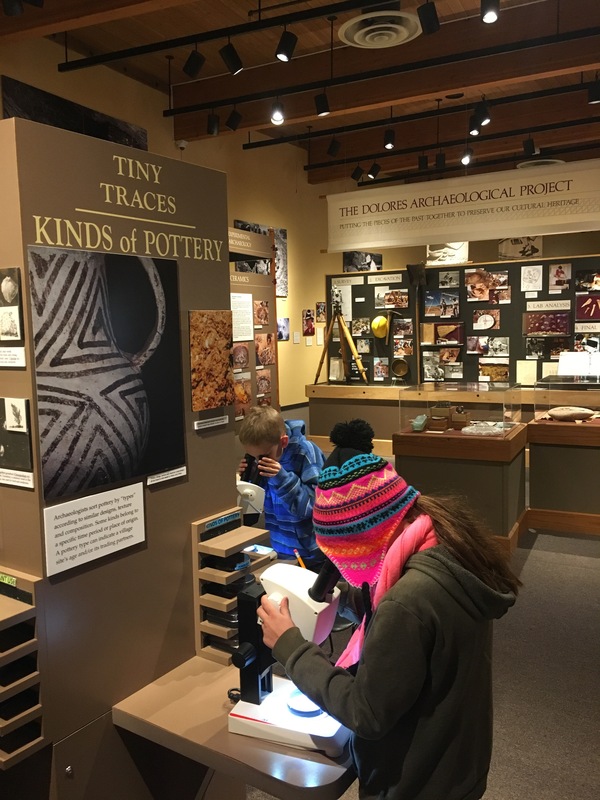 They have backpacks kids can check out with activities related to specific exhibits. There’s a full-on costume design room, complete with a library for inspiration, lightboxes for sketching, and piles of fabric to drape over dress dummies. There was a music and dance performance we watched from an open gallery above, a big play space for little kids, and hands-on activities throughout the museum. I wish we had planned for more time. 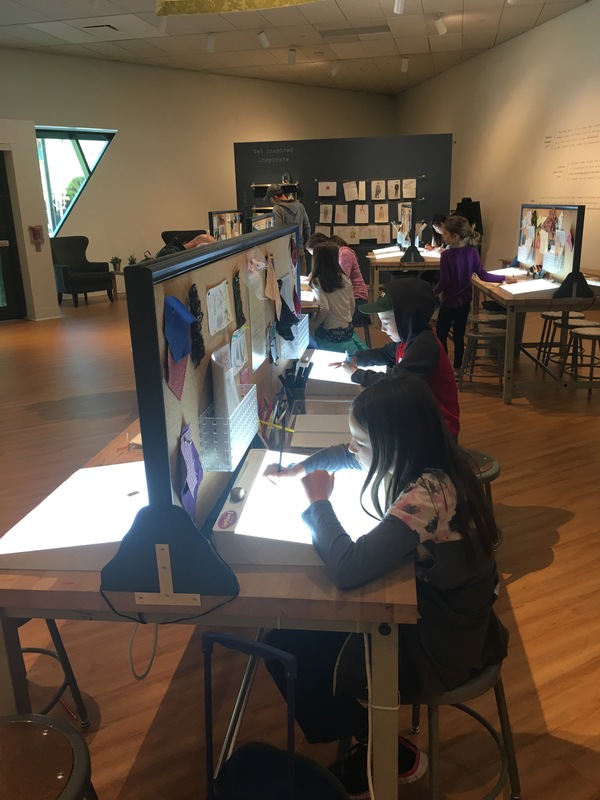 We didn’t get to all the galleries, but what we saw was great: Western-themed paintings, a traditional and contemporary Native American collection, and the special exhibit Mi Tierra. 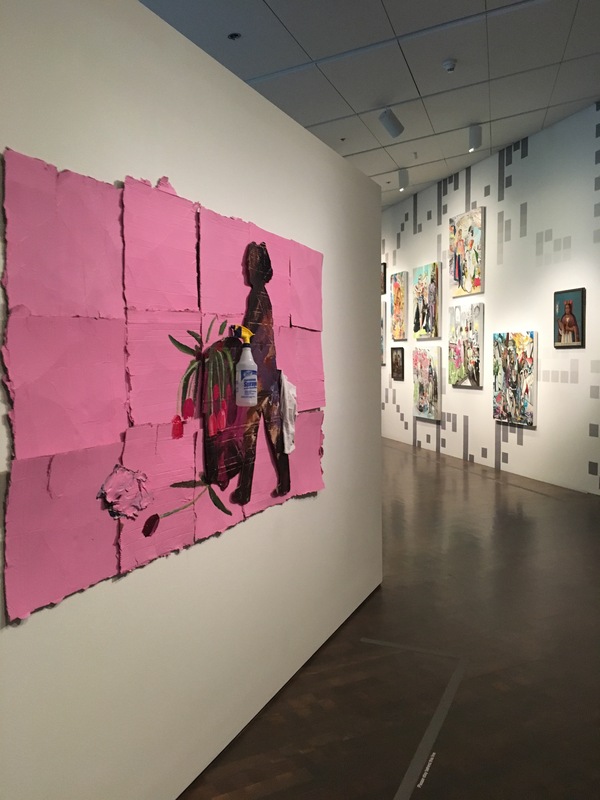 I’ve been following the work of Ramiro Gomez, and it was wonderful to get to see the pieces he created for this exhibit. 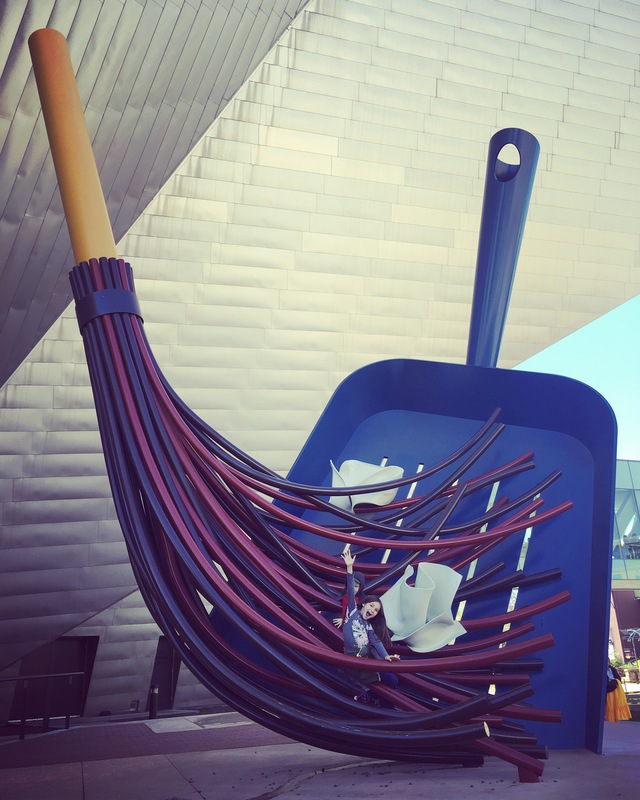 Denver Art Museum. It was nice to be back in a city! Costume design room. How cool is this? Chris went up on the roof of the rig to sweep off the piles of snow, to the great excitement of the kids and dogs inside, but otherwise packing up and leaving was no different than other times. And you know what? It also snowed in New Mexico. My twin sister was just visiting our youngest sister in Switzerland (while we happened to be in the Switzerland of America). 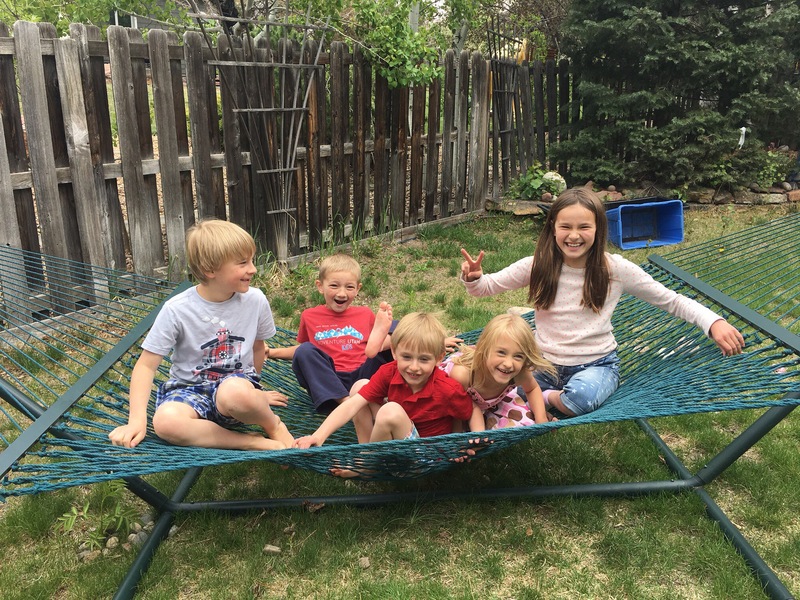 They experienced a freak spring snowfall, and learned a German phrase that is pretty universal: “April will do what it wants.” Here’s to May! From Colorado through Wyoming to our next stop in Nebraska. This all takes me back to a wonderful Colorado trip a few years ago with my brother and sister-in-law who live in Grand Junction. I’m happy to hear that you took your big rig over the Million Dollar Highway because we plan to do just that in June with our grandsons. Your blog has given me so many ideas, but I fear we won’t have time for most of them! It all brings back happy memories. I had to laugh about the barking dogs. When we climbed up to the Box Canyon Waterfall our sister-in-law left her 3 Shih Tzus in the truck and we could hear them barking all they way up the trail! I just love virtual travel along with you.